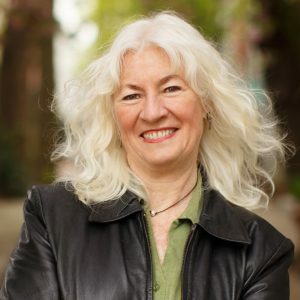 Based on her memoir Good Morning, Beautiful Business (2013), Judy Wicks shares her experiences as a socially and environmentally concerned entrepreneur and leader in the localization movement. She tells the story of her stay in an Eskimo village where she was exposed to a community that operated through sharing and cooperation, co-founding the first Free People store in Philadelphia which sold up-cycled goods, founding the White Dog Café and ensuring its ongoing sustainable business practices. Wicks explains what it means to be an entrepreneur who cherishes the relationships among people, community, and the planet.